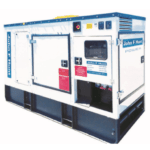 Created to a high standard, we offer 3 ranges of contemporary diesel generators. 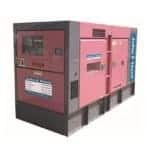 They have a power range of 20, 40, 60, 100, 160, 200, 300, 500, 800, 1000, 1250 kVA. They are tough, silent and reliable. They feed constant power, compliant with the latest noise and emissions regulations, direct to you whenever you need it. 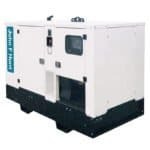 We have the normal John F Hunt silenced generators but also the Denyo and Fusteq range which are even more quiet.